Half day at work today. Headed over to Shipley to the Marriott Hollins Hall Hotel. Remember back when I was on Tipping Point? (Click here to view) Well the golfing holiday I won was finally used. We checked in and used all the spa facilities. There was a pool, jacuzzi, steam room and sauna. It was lovely and relaxing. 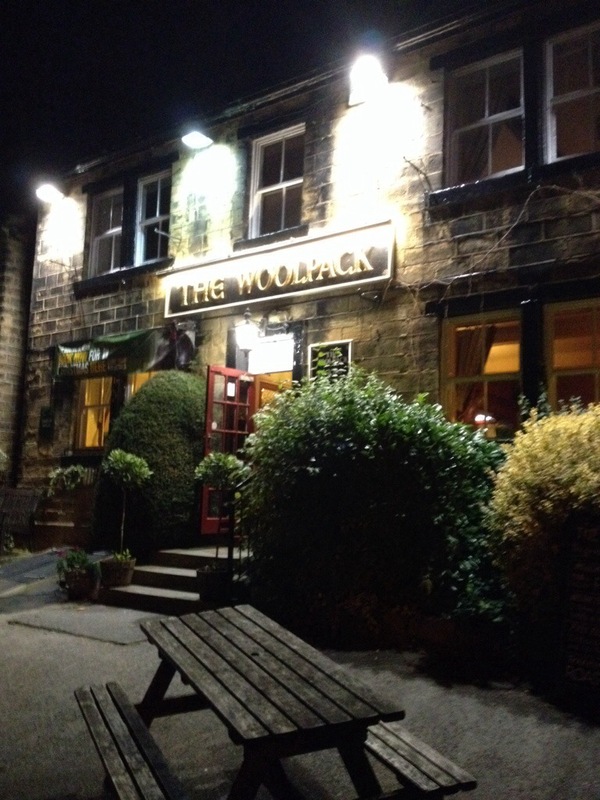 We got ready and headed out to The Woolpack. This is the original pub in the original village they used to film Emmerdale in. They only ever used the exterior shots however. But inside, the pub is lovely. We were greeted by lovely staff who showed us to our table an fully explained the two-courses-for-£11 offer that was on which we took them up on. I had Black Pudding and Bacon Stack and a main of a mixed grill. Elle had the potato skins followed by the meat pie. Everything was cooked to perfection and I would recommend this place to anyone. We just chilled the rest of the night at the hotel. We watched Children In Need and I decided to branch out my drinking. Normally I will have Fosters or Carlsberg but I has picked up some different ones to try. 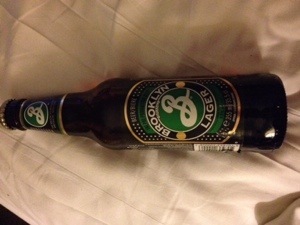 First up was Brooklyn Lager which was very nice but very “hop’y”. 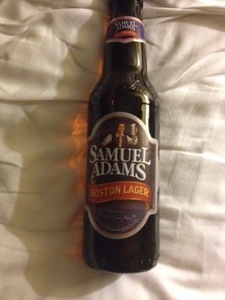 I then had a Samuel Adams Boston Lager. This tasted much smoother and easier to drink. 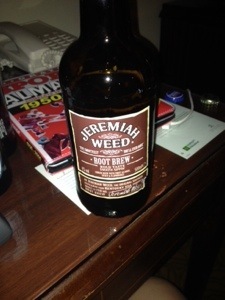 …….and then I had a bottle of Jeremiah Weed Root Brew. Basically I love Root Beer, which is normally non-alcoholic, but this had a percentage and was gorgeous! I might’ve found my new favourite drink. 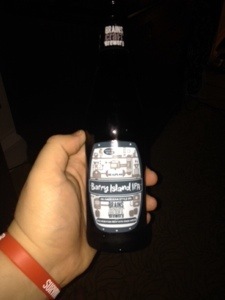 This entry was posted in 2013, 365, Food, Holidays and tagged barry island IPA, brooklyn lager, esholt, hollins hall hotel, jeremiah weed root brew, Marriott, samuel Adams boston lager, the Woolpack. Bookmark the permalink.